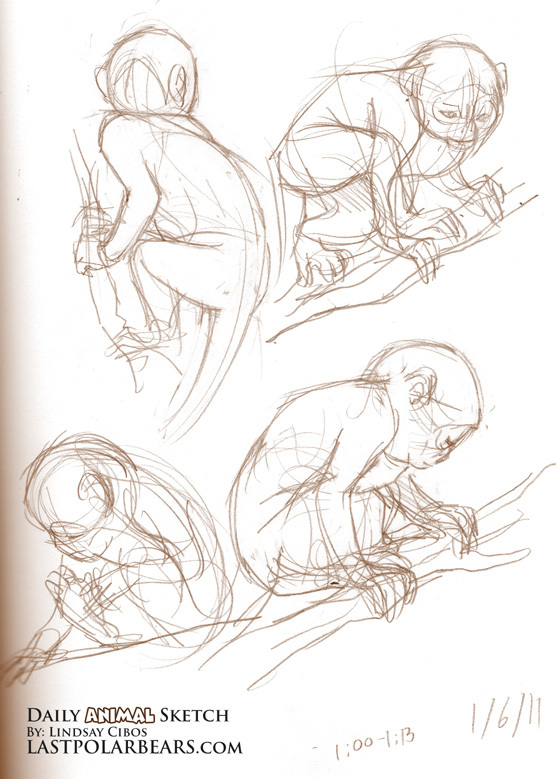 Studies of a baby De Brazza’s Monkey. 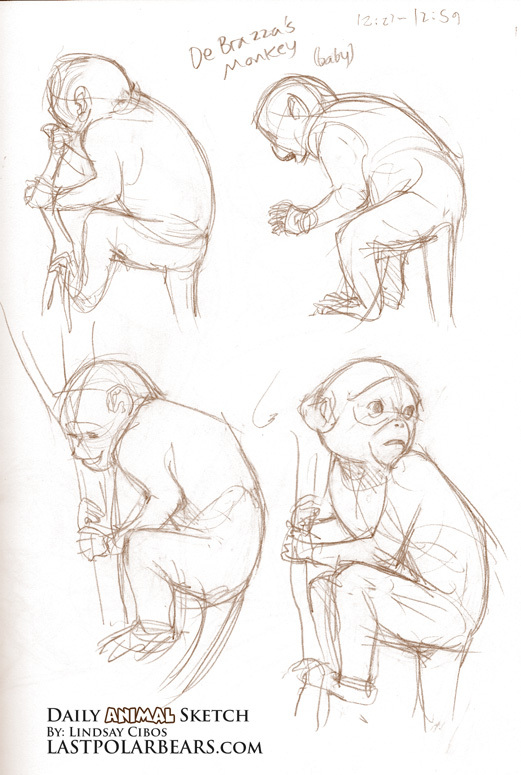 Monkeys are a wonderful subject for warm-up sketching, providing strong poses with plenty of angles, curves, stretches and squashes. And they’re expressive too! Source: referenced from Denver Zoo video.